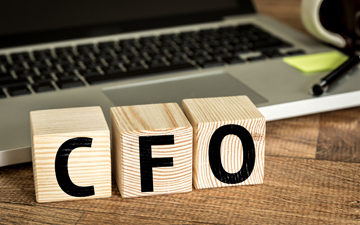 The CPA’s Dilemma: Should you take an interim CFO position? TORONTO, Nov. 22, 2017 – The CFO in your organization has just resigned and the CEO wants the interim CFO position filled internally. As a senior Chartered Professional Accountant, you are approached by human resources to take on the role while a search for a replacement is undertaken. Should you take it? Or do the risks outweigh the advantages? In my experience as an executive recruiter and co-founder of Ambit Search, most interim CFOs do not actually get the permanent position. Knowing the odds are not in your favour, is it a good career move to accept the interim position? Will it give you valuable experience? Will future employers look upon your experience favourably or will it make you seem like a second choice? Gain more experience outside of a strictly finance focus, including investor relations and direct contact with board members and other C-suite executives. Demonstrate strategic thinking and decision-making skills in helping to grow the business. Bring new ideas forward from a greater understanding of your company’s operations. The experience you gain may not be enough to qualify you for the permanent position. The “issue” of returning to your previous role once you have operated at the most senior level. The fear that the interim role will hinder your advancement in a variety of ways. Why did the CFO leave? Will your interim responsibilities address gaps in your skill set? Are those gaps broad enough that they will disqualify you from the permanent role? Will other senior management team members be supportive of you? But how do prospective employers and executive recruiters interpret interim roles on a resumé? Generally speaking, interim roles are viewed positively if candidates are able to speak to the question, “Why didn’t they offer you the CFO role?” Did you throw your hat in the ring? If not, why not? If you did, you will have to tell people why you didn’t get it. For your explanation to be authentic, you have to know why you were not hired. That means getting real, constructive feedback from the search committee or recruiter as to why another candidate was chosen. Remind your audience (employer or recruiter) of the confidence management had in you when they appointed you to the interim role and that organizations often believe they must hire externally. Or, perhaps you were offered the role, but turned it down because you recognized the gap in your qualifications and felt the company would be better served by a more seasoned CFO. That demonstrates loyalty to your employer and strong self-awareness. Whether you’re the company controller, a vice-president of finance, or even the chief accounting officer, as a CPA you may be faced with the interim CFO dilemma at some point in your career. It will not be an easy choice. But as an executive recruiter who has placed many CPAs in C-suite positions over the years, I can tell you that losing out on a permanent role is not the end. Turn the situation to your advantage. It may ultimately get you the keys to C-suite on a regular basis. Joanne Elek is the co-founder of Ambit Search, a Toronto-based top executive search firm specializing in designated finance and accounting professionals at the mid to senior level. Contact her through elek@ambitsearch.com.